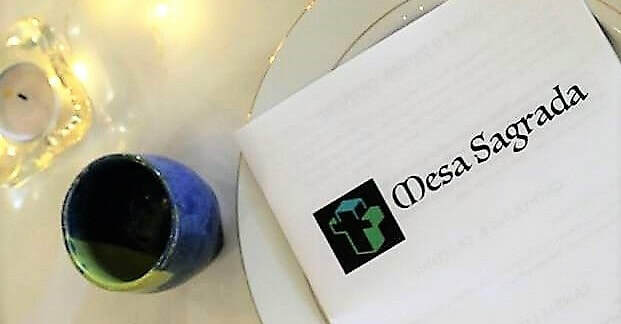 Mesa Sagrada (Sacred Table in Spanish) is a group of folks who gather the second Saturday of each month at 5 PM for dinner church. We share a meal, discuss a Scripture passage around the table and then share in Holy Communion. Everyone is welcome at this table. Folks come from diverse backgrounds, ethnicities and church traditions. Some folks are have no church tradition and just want to learn more and be in fellowship with others along the way. Children join in the conversation or are welcome to play in another part of the dining room. We hope you will join us....there's a place for you here. Mesa Sagrada is a Synodically Authorized Worshipping Community of the Alaska Synod, ELCA. During the year, leaders from Mesa also host several traditional Latin festivals, such as Dia de los Muertos and Las Posadas. Mesa meets at Trinity Lutheran Church in Palmer, 10355 E Palmer-Wasilla Highway.